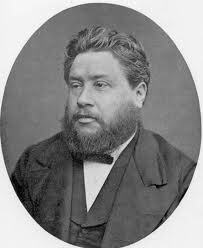 “We shall never have great preachers until we have great divines.” That was C.H.Spurgeon’s opinion. In the busy world we now inhabit, a world of phone calls, emergencies, emails, travel, financial complexities, family responsibilities and ministerial intricacies, we need to freshly recommit ourselves to the core vision of the preacher. Our core vision is not a philosophy of ministry, a theological stance or sense of calling. Our core vision is God Himself. We have the privilege of being so captivated by the greatness and grace of our Lord that every moment of our lives is lived in the shadow, no the glory, of that vision. A deep awareness of who God is will continue to drive us back to His Word, diligently pursuing more of Him so that we might respond further. This is not about discipline and effort, this is about delight and response. We dive into His Word so that we might see Him more clearly, be captured more fully, and be stirred more deeply. Then we will preach more effectively. Our preaching should flow from a personal intimacy with God and a personal commitment to His Word. That is what our people need.